We have provided industrial & agricultural roofing and general commercial construction to many companies of varying size over the last 20 years. 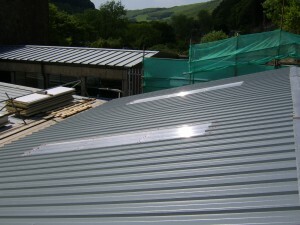 Ranging from large scale factory flat roofs such as the shredded wheat factory to local flavouring factory buildings and energy generation companies, as well as roofing farm shelters, re-roofing of farm buildings and similar agricultural roofing & construction. With a wide range of construction & roofing skills backed by a broad experience of successful local trade, Hayday construction can offer an unparalleled service to your business, specifying and delivering a cost effective, targeted solution to your requirements. We are familiar with tendering, risk assessment and professional construction and will be happy to offer a business grade construction service matched to your budget. Call today for a free quotation.